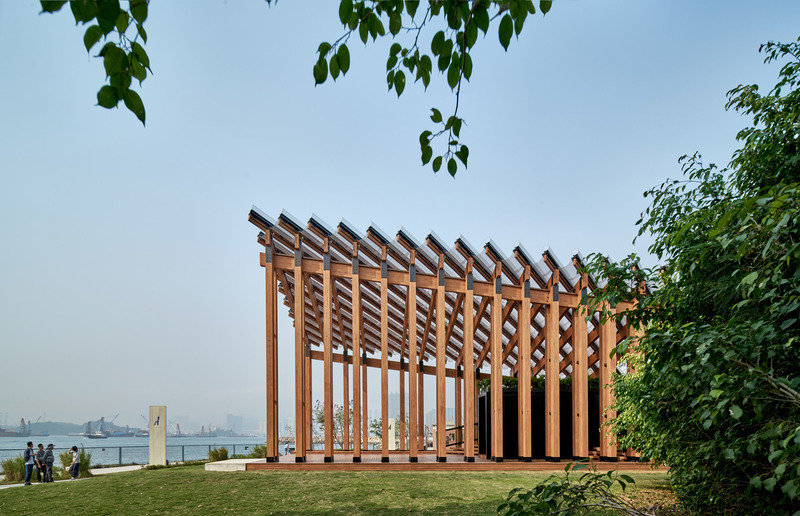 New Office Works has completed a pavilion with a sloped roof and slender columns, alongside the M+ Pavilion within Hong Kong‘s West Kowloon cultural district. Named Growing Up, the pavilion offers a covered seating area in the rapidly developing area. 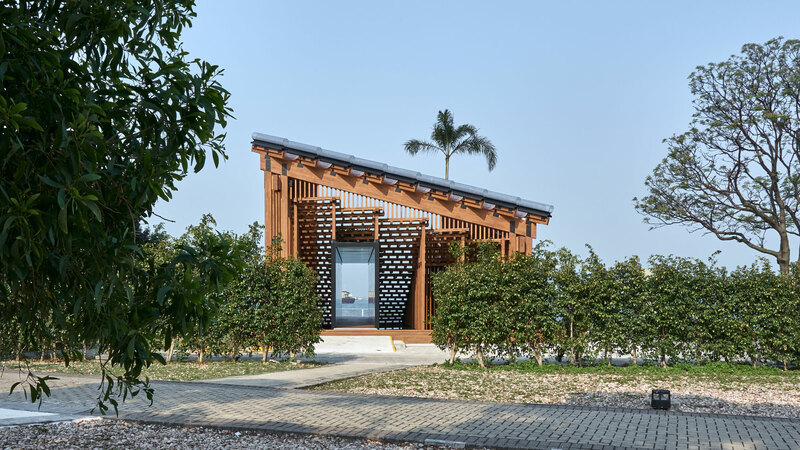 The project’s name derives from the idea that the city is cultivating its culture, and is also a reference to the future of the newly-planted greenery of neighbouring Nursery Park. 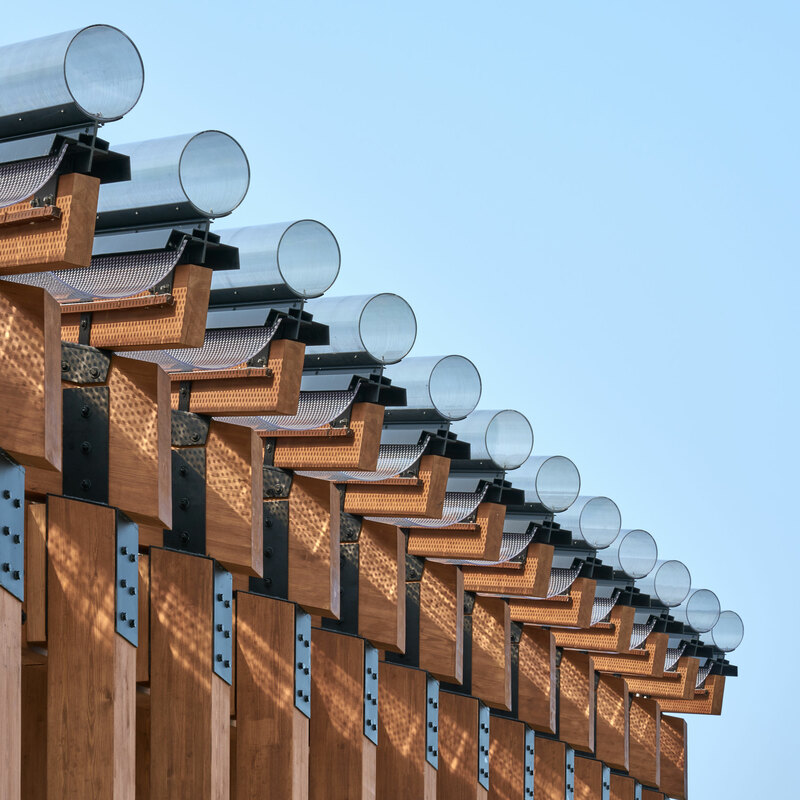 “The design process was really an exercise in close observation of things around us, and how to lend significance to various elements that comprise the city,” she said. 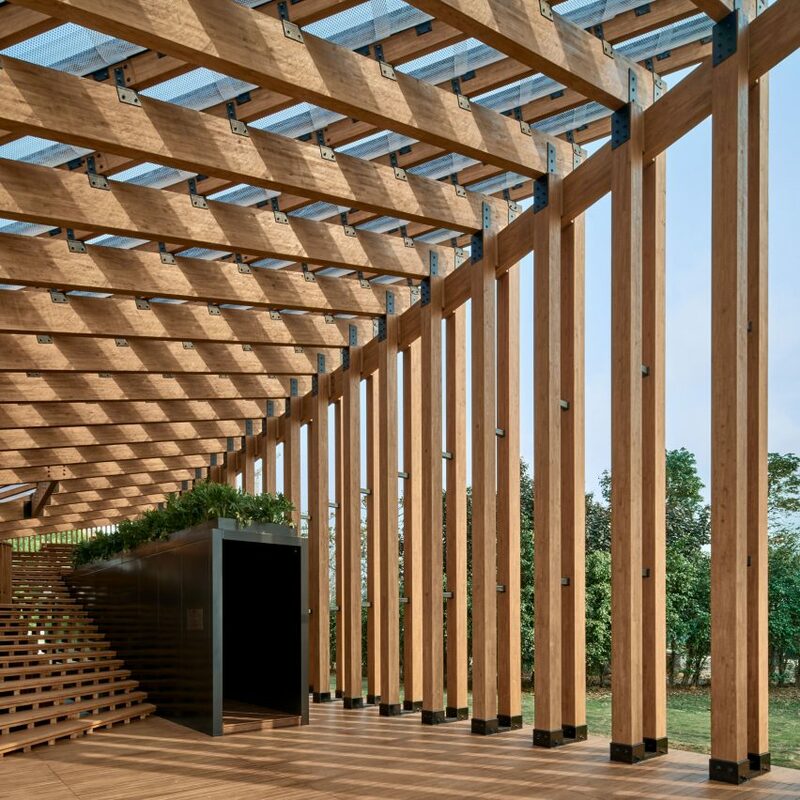 New Office Works designed the pavilion to highlight rain as a constant of the city through both its construction and aesthetic. It is meant to be a place where visitors can interact with the “performative quality” of the water. 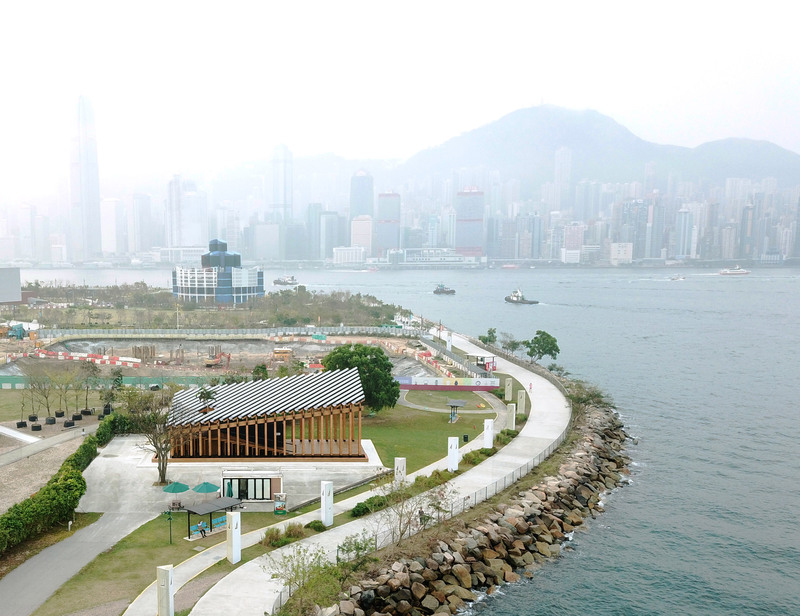 The roof structure enables a natural draining system designed to adapt to Hong Kong’s wetter seasons. 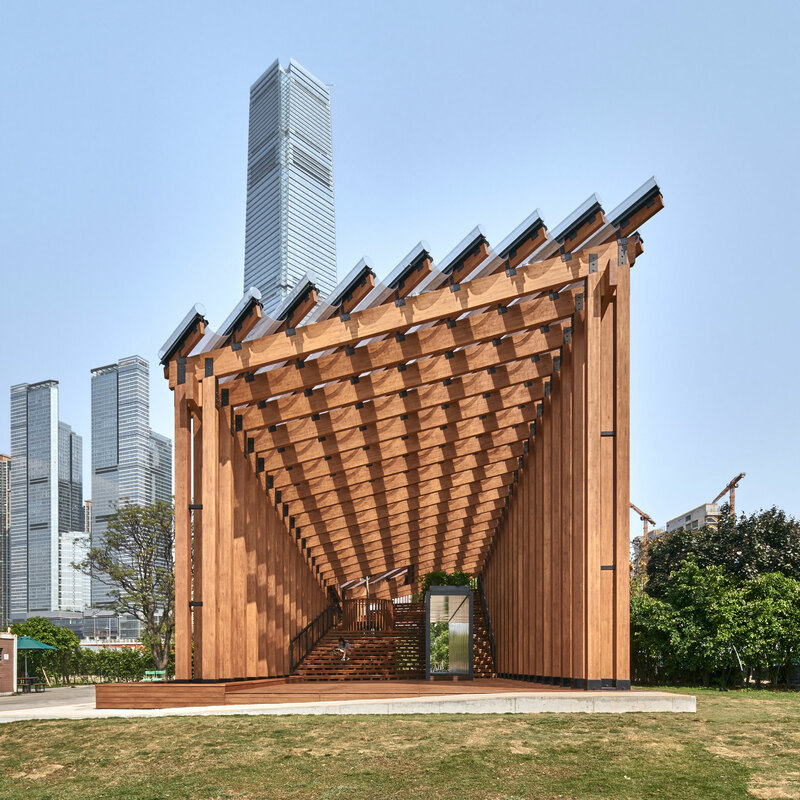 The post New Office Works unveils Growing Up pavilion on West Kowloon waterfront appeared first on Dezeen.